Dr. Kelli was interviewed about her journey with the English language. This interview originally appeared on another website. Academically, I have a doctorate in Education with a specialization in literacy. A Master of Arts in Education. A Bachelor of Arts in Psychology. I am almost done with my TESOL certification and I am now in my second year of a Master of Arts degree in General Linguistics. As a side note, when I was originally applying to doctoral programs, I was initially looking at doctorates (PhD) in Linguistics, but I would never have been admitted to the PhD programs in my area without a Master’s degree and I wanted a PhD at the time. I was also interested in reading and literacy, even getting accepted to the Masters of Social Work (MSW) program at the University of Southern California to be a social worker and help with literacy, but didn’t go for various reasons. So, my brain has always gravitated towards language and words, I just didn’t know how to study the language on my won. I wasn’t sure what it was about the English language that I was searching for until I came across Structured Word Inquiry (SWI). SWI showed me the true underlying structure of the English writing system. It helped me understand all the why’s of English spelling. Professionally, I always wanted to be a teacher, but after subbing for a while, I realized I didn’t have the classroom management skills. I was lucky enough to find a job as an intern at READ/San Diego, the adult literacy program of the San Diego Public Library. That led to a full time job where I stayed for 12 years. That was a huge turning point in my career. It was the adults at READ/San Diego who changed my life forever. Adult after adult would sit in front of me and tell me their life story and how low literacy affected them socially, economically and emotionally. I wanted to know more about why they could not read, so I started my doctorate program at San Diego State University and the University of San Diego. where I specialized in dyslexia. Once I graduated I spent a few more years there but decided it was time to help kids before they became adults at a literacy program. Those adults are still the reason I do what I do and they always will be. Personally, I have always been one to question everything around me. I have been told that I am an observer. I watch, pay attention, and then act. I usually have to be convinced about something before accepting it. I have always tried to live just a little outside the ‘norm’. Lately, I have taken to learning as much as I can about alternative medicine and supplements. This should be a straightforward answer, but I am constantly leaning new things and changing what we do at DTI. At the very heart of it, I am a dyslexia expert and national dyslexia advocate. 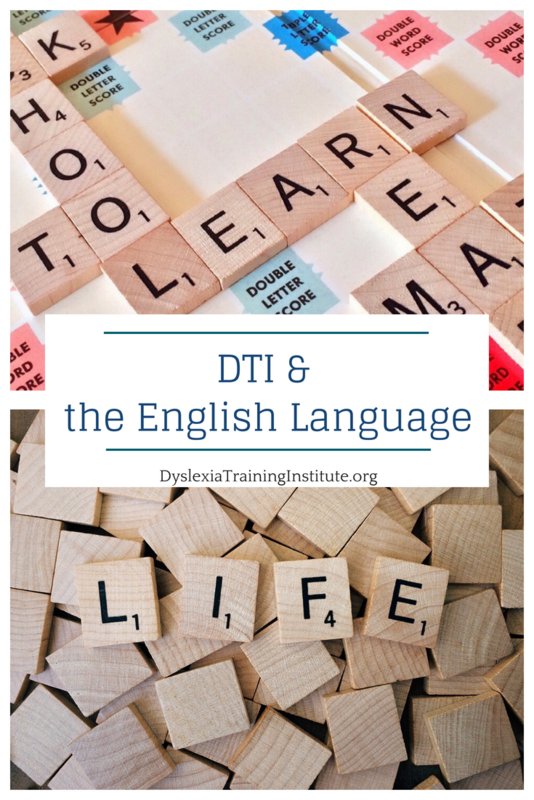 At DTI we train anyone who is interested about dyslexia and current interventions for students with dyslexia. 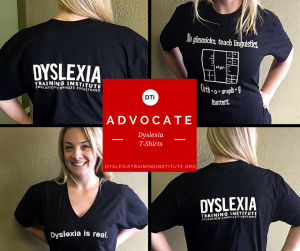 We also train people to be dyslexia advocates. We offer online courses so that everyone can have access to high quality instructors and information. During our search for training in southern California, it became painfully obvious to us that, for the most part, this training did not exist west of the Mississippi and we wanted to change that. We knew there were kids out there who not being served due to the restrictive and old school thinking about training. We changed that. Lately, we have been doing some significant traveling to train teachers all over the country, and beyond. In 2017 we launched our annual online conference that was 80% teachers and we are very proud that we have been able to reach the education community. What are your experiences with the writing system and how does your work fit into the writing system? That is a big question. I will make it short and sweet. 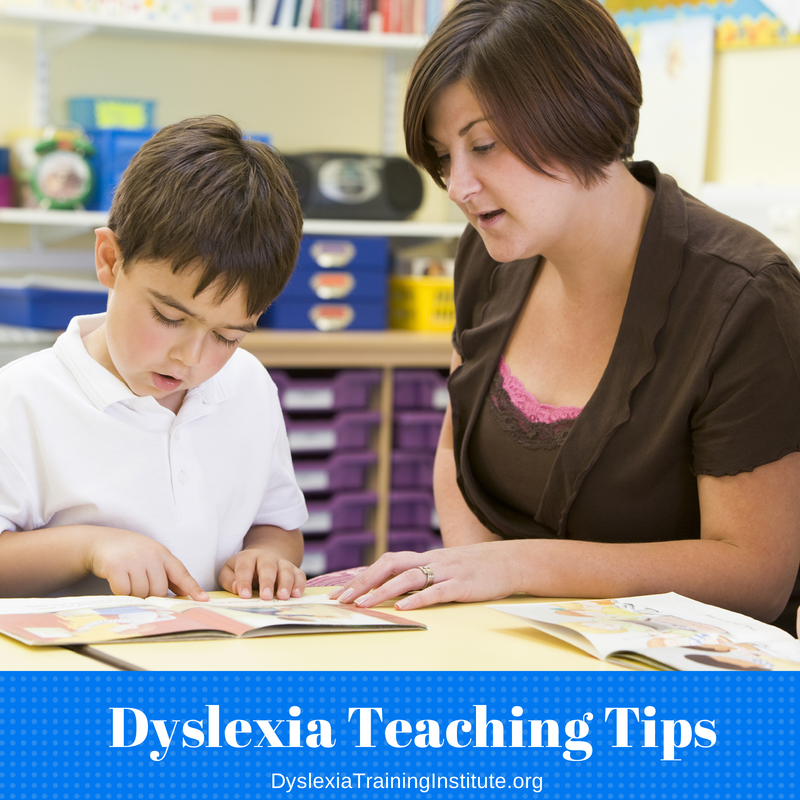 When I started on my journey to understand dyslexia, I was trained in Orton-Gillingham and I loved it. At the time, it seemed to explain so much about the English writing system. We began to train others in OG because we wanted to get help to the kids who needed it. I have also been trained in RAVE-O, Read Naturally and Lindamood-Bell, all which seemed to be good approaches, but left me feeling like something was missing. I met Pete Bowers at a dyslexia conference in Baltimore about five years ago where Pete showed me why there was a <g> in sign. I was instantaneously enthralled and have never looked back. I have taken just about all the courses at LEX, Wordworks and Real Spelling. I literally have stacks of books about linguistics all over my house and office, and I took the TESOL certification to learn even more. I write a lot about the English writing system because it helps me internalize what I know and because I can get the information out to a lot of people. As someone who trains teachers all over the country, I know that they are always searching for more training, but more meaningful training. When we study words with them during trainings they begin to see the truth about English and by planting that seed, we hope their classroom techniques will change and that they will search for more understanding. As an advocate, I am involved in legislation that can lead to what is taught in schools, so I am hoping I can provide some insight into the English writing system and hope that insight will lead to better teaching practices. My viewpoint in the dyslexia community can appear to some to be controversial because I am suggesting that we have not found the silver bullet for kids with dyslexia. I think we found a band-aid and it works, but I want people to keep searching for more, and searching for something better. 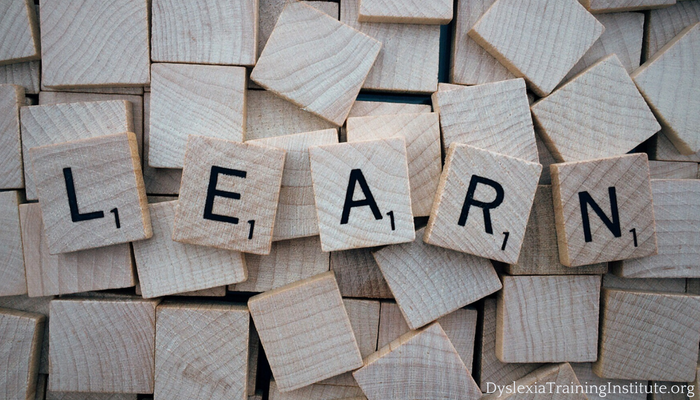 The perception by the dyslexia community that I am hurting the cause can be hard on me personally, but I know what I am doing and saying is the right thing, and I know I am helping kids by saying and doing it. That is all I ever wanted to do. Words are now my life. I have also written blogs for several educational websites like ILA, Understood, Edutopia and Ted-Ed. 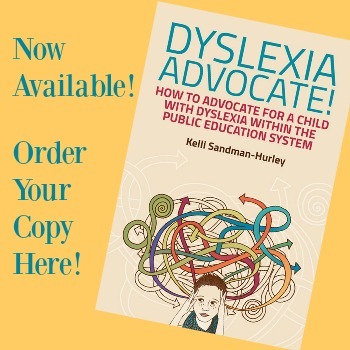 This entry was posted in Advocacy, Dyslexia on June 26, 2018 by Dr. Kelli Sandman-Hurley.